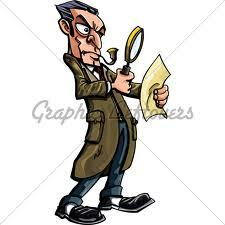 One night Sherlock Holmes was having dinner at a five star hotel when the hotels kitchen caught fire. There was a chaos but Sherlock Holmes bravely went into the kitchen and extinguished the fire. He entered the kitchen when the fire was fully extinguished. He found a person lay dead with odd clothes and he wore a batch of a gang on which Sherlock Holmes was working on case a few months before. Sherlock rushed to the terrace. He saw some thieves trying to rob the manager. Sherlock saw that the manager was tied. Sherlock saw a helicopter letting down a rope for the thieves to escape. Sherlock bravely took out a pistol and shot the tank of the helicopter and immediately the helicopter burst into flames. The pilot and his friends jumped out with the thieves but it was too late the police had arrived. The thieves and the pilot fell on the trampoline brought by the police and of course were caught. When Sherlock came down the terrace he saw the police officer. The officer asked how was he here. Sherlock narrated the whole story to the officer. This was the end of another suspenseful story!!!! !